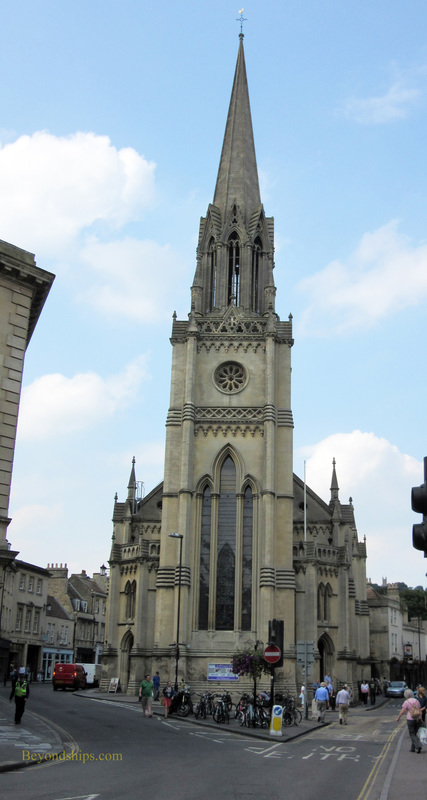 Convenient to both London and Southampton, Bath is one of the most visited cities in England. The unique nature of Bath led UNESCO to declare it a world heritage site. 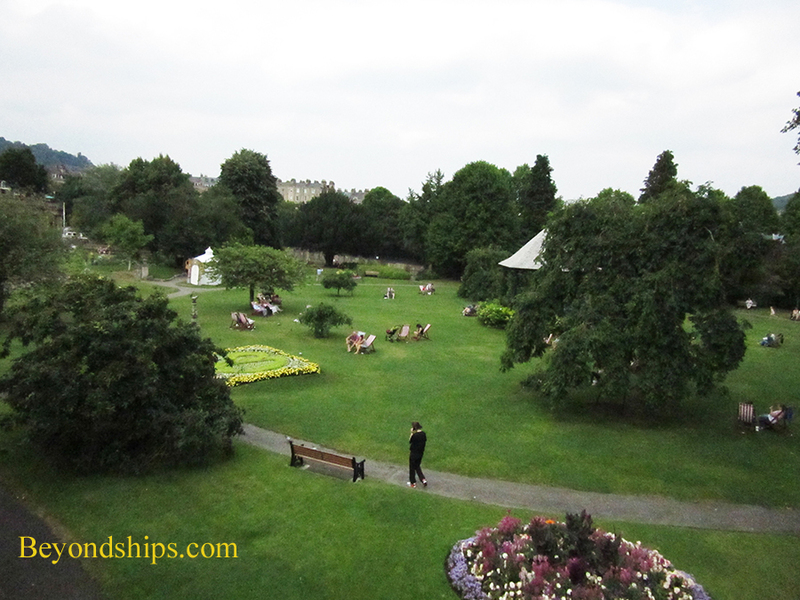 The attractions in Bath relate to two golden ages in Bath's history. First, there was ancient Roman Bath or Aquae Sulis as it was known then. The ancient Romans were enthralled by Bath's natural thermal spring. It was obviously the work of the gods and so they built a temple beside it. In addition, they built a large complex for bathing and socializing utilizing the thermal waters. Much of the Roman city has been excavated and is open to the public at the Roman Baths, one of the most visited attractions in Great Britain. Second, there was Georgian Bath. During the 18th and early 19th century it became very fashionable to “take the waters” in Bath. As a result, the city experienced enormous expansion. This was not done haphazardly but rather through developments that employed Palladian style architecture using the golden color Bath limestone. Consequently, Bath has great harmony. 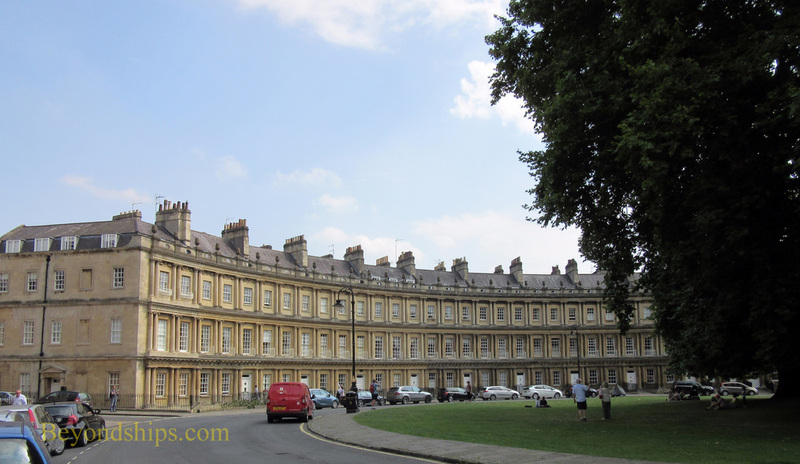 In addition, this elegant period has become well-known to modern audiences through the films and television programs based on the works of Jane Austen who lived in Bath for a time. Some of the attractions that relate to this period are the Pump Room, the Royal Crescent and the Assembly Rooms. 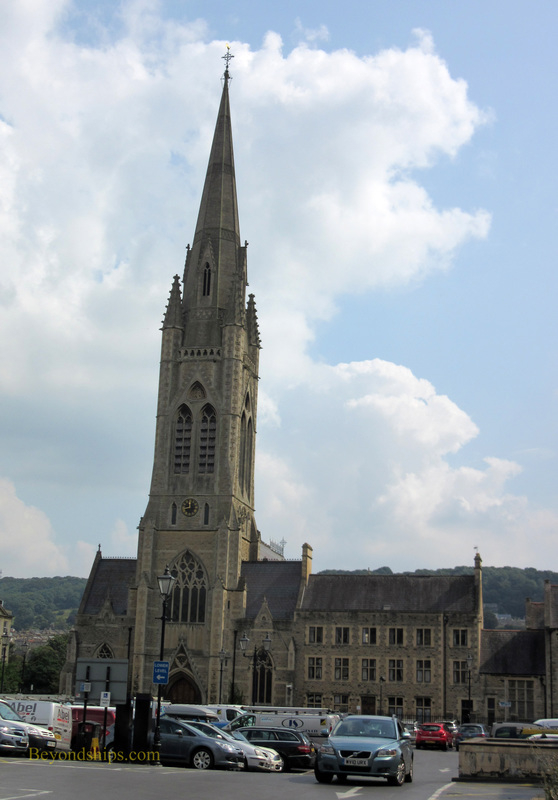 ​In addition to staying in Bath, the city can be explored via day trips. There is frequent train service between Southampton and Bath. The ride takes about an hour and a half and the station is with walking distance of the major attractions. You can also get to Bath from London. The train ride from London's Paddington Station to Bath Spa Station takes about the same time as it does from Southampton. Alternatively, many London-based tour companies offer coach tours to Bath from the capital. 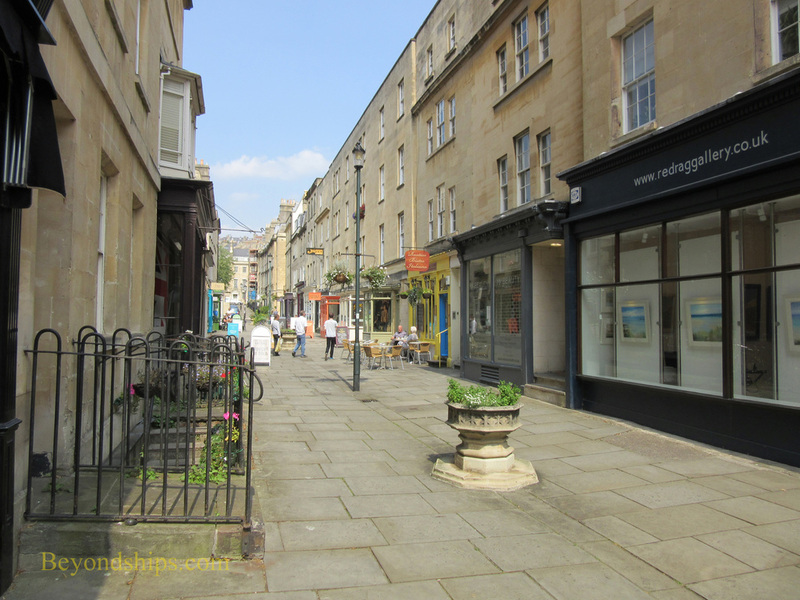 Bath is a very walkable city. Many of the streets in the town center have been pedestrianized. Also, maps tend to make it look like there is more distance between the attractions than there actually is. Nonetheless, for those who would rather ride, there is a hop-on/hop-off bus that circulates through the city. Its stops include the railroad station. Above: Gilt bronze head of Minerva from Bath's Roman temple. Many of the streets in the center of Bath have been pedestrianized.